For someone who loves wrapping paper and ribbons as much as me, this is going to be, shall we say, difficult. 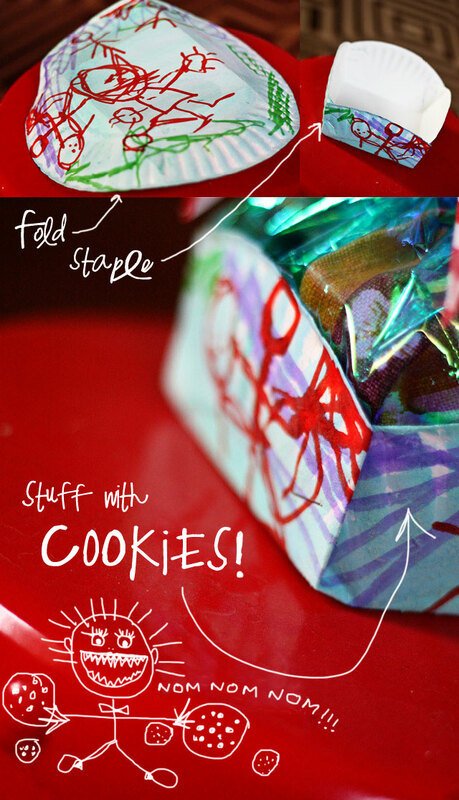 So, every Monday from now until New Years, I am going to post an easy idea for wrapping stuff with items everyone already have around the house. Not only will this help me clear out some junk, it will encourage me to resist future wrapping paper purchases. Wahoo! *Note: The “holiday season” ends December 25 in my book. Lord helpeth the poor soul who stands between me and a bolt of candy stripe wrapping paper on December 26. You like my cookie man? ‘Cause he sure likes you! I Love that idea! Not only will you help us, but you help yourself (we all win) I have never seen a container made from a plate like that, but I was thinking of giving my co-workers some of my husbands choc chip cookies (basically off the nestle choc chip bag, but yummy because he puts love in it 🙂 ) So, I can watch and come up with ideas of how to wrap them. So far, I like THIS ONE!!! Maybe next week, I will like that one. 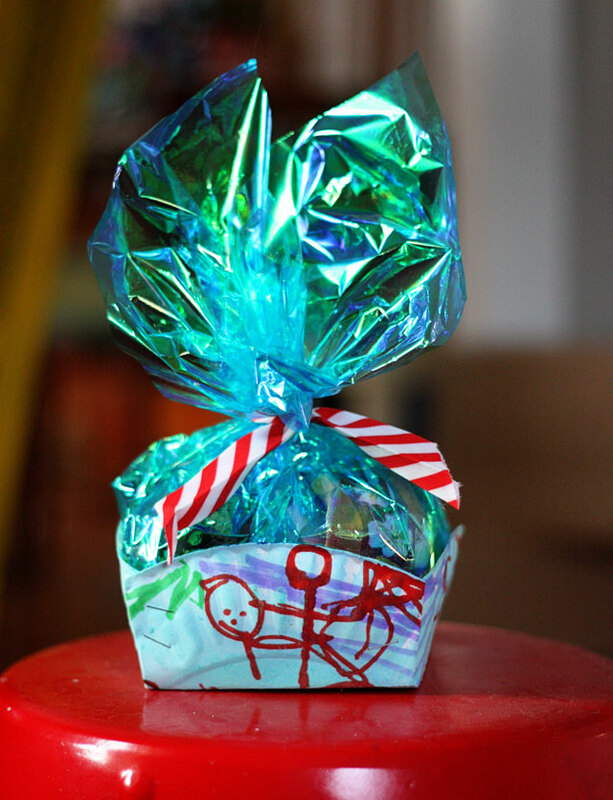 Of course, they can all be wrapped different for each person too…which would be fine for me. Love your ideas, as always. What a great idea!! I think that this is how I’ll transport my Christmas baking this year … way easier than filling the paper plates and wrapping over top … balancing said plates on top of each other … flat plates sliding around causing destruction … much easier and a neat way to pretty it up! Thanks!! I really like your site but my reader isn’t picking it up in full anymore, did you change something? I can’t go to individual sites, is there anyway it can go back. Just didn’t want to unsubscribe without letting you know why. Hi friend! Thanks for letting me know. I updated my feed settings and it looks like there may be some bugs –I’ll take a look. I will say, however, to be honest, I gear my posts to be read directly on my blog and not inside feed readers (they mess up formatting and make it impossible for me to gauge reader interest). But I appreciate you letting me know and I’ll see if I can find a solution. Thanks!! So clever, Peaches. This would also be great for party favors. Really, Peaches. Your drawings… just… masterpieces! Honestly!! !